Make a splash and enjoy the fun at our pool! From general swimming sessions to one-to-one lessons, our pool offers fun and fitness for all the family. 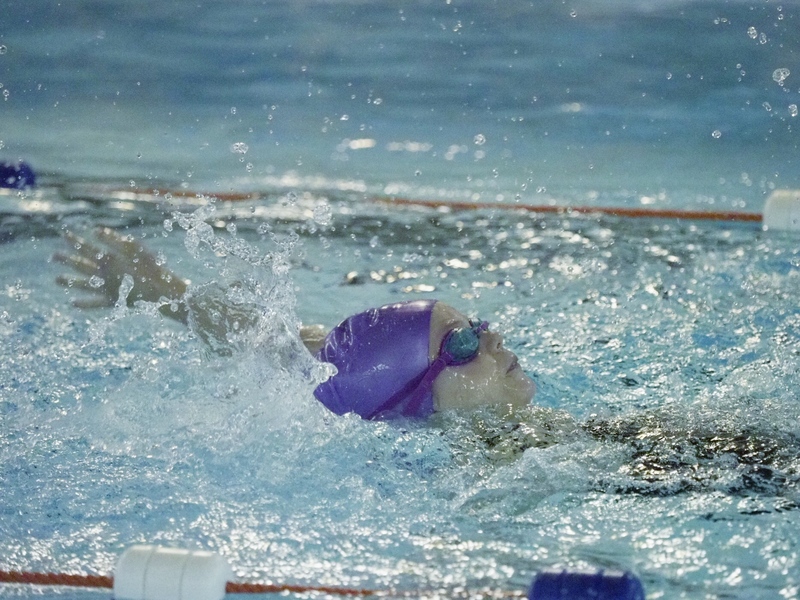 During the school year our swimming timetable varies term-by-term depending on the needs of the School. For today's swimming times, please see the 'Active In Time' listing below (NB this also has links, top right and bottom right, to print the timetable or to download an iPhone app). Please also refer to our guidelines for staying safe when using the pool. There are lockers available for clothing and valuables, we recommend that you always use a locker when using the pool. Our lockers will not accept pound coins but locker tokens may be purchased or hired at the pool reception. The cost of a reusable token is £1.00 to buy, or £1.00 deposit to hire. Please regularly check this page for updates to our timetable, as events out of our control may necessitate a change to the opening hours. Parking for our customers is available at the back of the swimming pool. Parking is shared with the school astroturf pitches and as a result there will be times when the area is busier than usual. There is also marked disabled parking available. For customers who are either disabled or have difficulty using the pool steps we have a hoist to help them into the water.